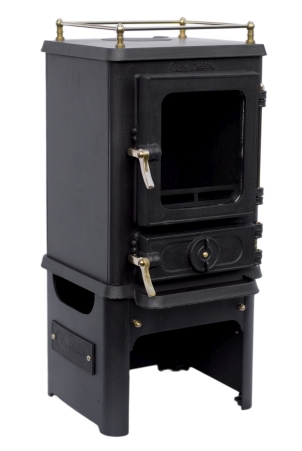 The Standard colour for the stove and door is Black, other colours are available. 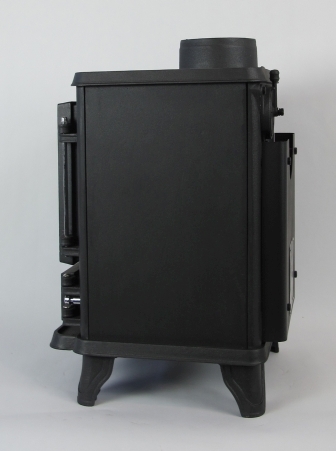 Available “stove options” can be added when ordering the stove. allow more fuel to be retained in the firebox. stove in our Devon workshop. a kettle or cooking pot. more fuel to be retained in the firebox. DIRECT AIR INTAKE; Option 2. 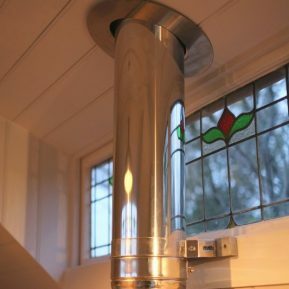 A Total Direct Air system for the Hobbit stove. control of both the primary and secondary air. 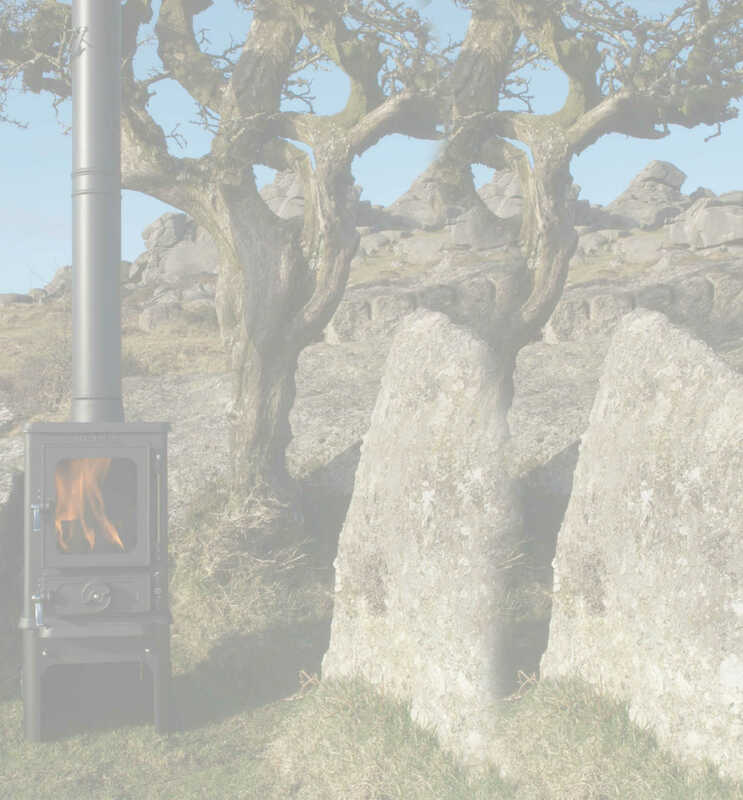 the many stove options the Hobbit stove has. We have a full range of small stove body colours for your Salamander Hobbit Stove. Pick a colour from full range available on the Stovebright range. Please note that Black is the standard colour. Personalise your Hobbit stove by choosing a contrasting colour for the firebox top door. See the full range of colours in the Stove Bright Chart. NOTE: Standard colour is Black. We can finish the bottom door colour and air flow wheel of your Hobbit stove in a wide range of Stovebright colours. Please feel free to contact us to discuss your individual requirements or you can choose the colour you want from the 12 options listed when you visit the Hobbit product page. NOTE: Standard colour is Black. We can offer you a different colour for the air flow wheel on the bottom door. Choose from a wide selection of Stovebright colours. Please feel free to contact us to discuss your individual requirements or you can choose the colour you want from the 12 options listed when you visit the Hobbit product page. NOTE: Standard colour is Black. 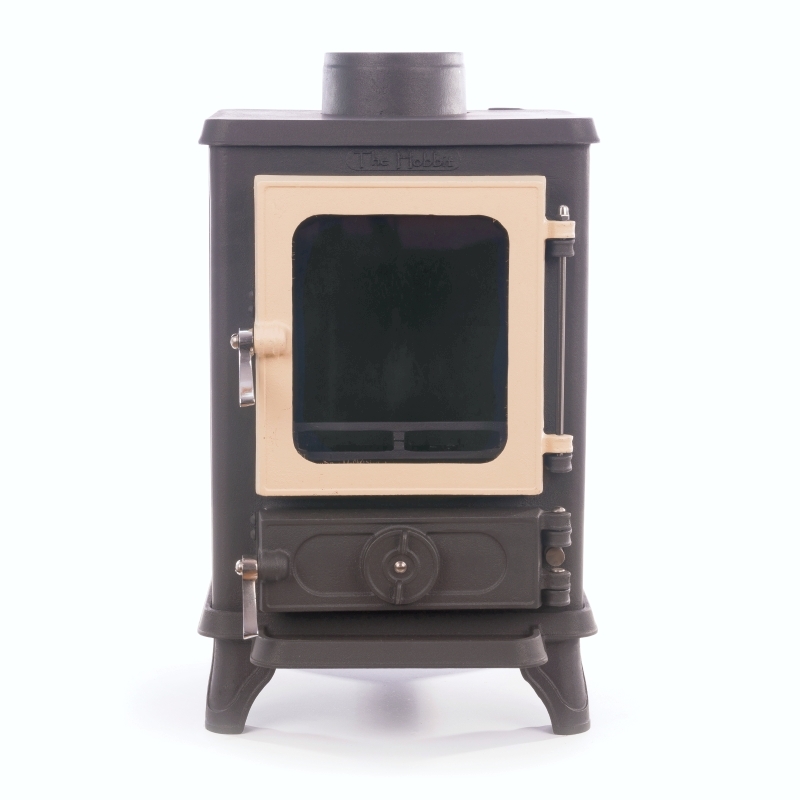 If however you live in a smoke control zone and want to burn wood you will need the Hobbit SE, DEFRA APPROVED model. Both the standard Hobbit stove and the Hobbit SE version are multi fuel stoves. 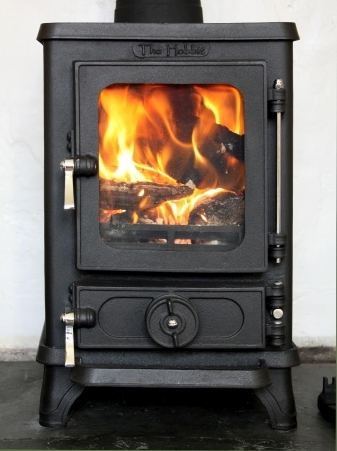 All national and local regulations, including those referring to national and European standards need to be complied with when installing the stove. The stove must be installed by a registered installer or approved by your local building control officer. 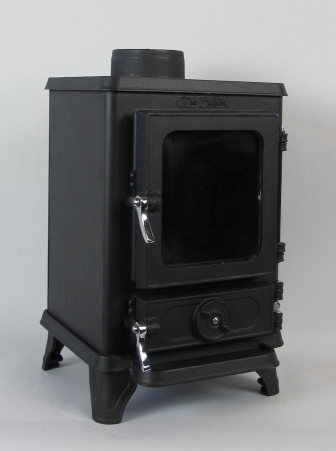 Absolute cracking little stove runs like a dream well designed and built to last would recommend this stove to anyone looking for a little beast. we have The Hobbit with a back boiler plumbed into a small central heating system and it does what it says on the tin. 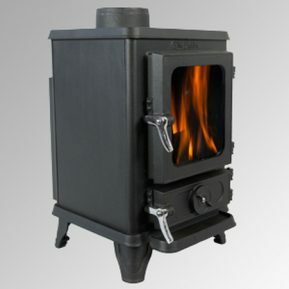 The Hobbit is a fantastic small stove. It is so versatile and is an ideal solution to a small fireplace. The build and quality are excellent and the customer service is as helpful and genuine as the stove itself. The Hobbit is less of a stove and more a way of life! 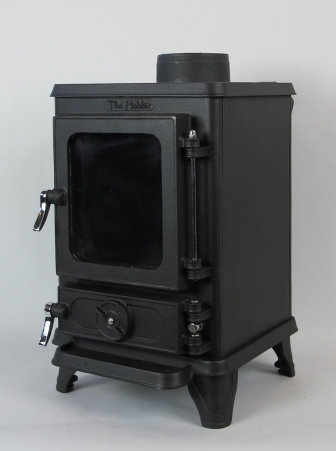 We spent an age trying to find a small multifuel stove to suit a listed Georgian house that would fit an existing fire place with out destroying any of the features of the fire place and surround. The Hobbit fits perfectly and required minimal work to have installed. 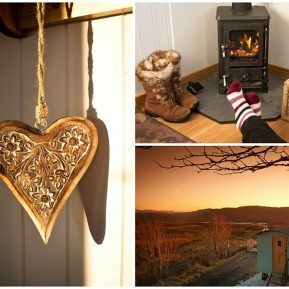 Heat out put is great and the fire stays in for over 8 hours during the day or overnight, using good smokeless fuel. It has been much admired by friends and neighbors and is now recommended to outlying villages in Sherwood Forest! We are even considering starting a local Hobbit appreciation Society!! It is a real pleasure to contact Mark and Gill for advice ! (Always an excuse for a natter! ) Happy to recommend the Hobbit – a product and company that does a lot more than it “says on the tin”! Thanks guys. Regards Mike Edwards. 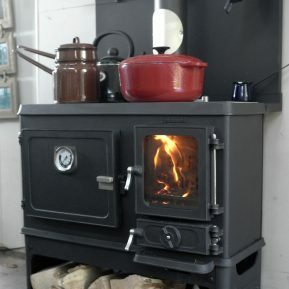 I’ve had my Hobbit stove in use for a couple years now, in Northern California for a 200 s.f. tiny house. I love it. It’s very solidly built, heats the place perfectly, burns wood beautifully. It’s also as cute as its namesake. Lovely to watch the fire on a cold rainy night. Even with shipping to California, it was still cheaper than anything available locally, as well as higher quality. And it has the smallest footprint. I still remember Mark’s excellent customer service. 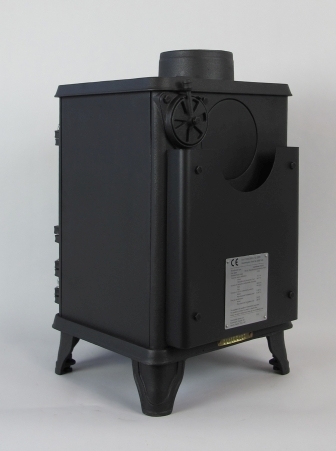 If you’re looking for a tiny woodstove, this is the best. Have had a hobbit se fitted and love it. Just the right size to fit into our fire place. Leaving the tile surround. 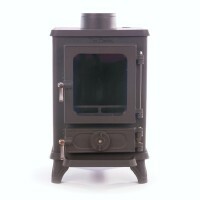 Looks brilliant and stove works a dream .Would definitely recommend to anyone. Nice little stove, but with a significant problem, depending on where it is installed. The secondary draught regulator is a small lever which (just) projects above the back of the stove. I’ve got limited headroom above the stove which means it is fiddly to operate and to reach without burning myself on top of the stove. 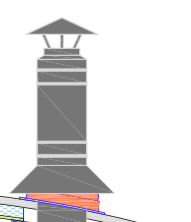 It really needs engineering so the control is at the front of the stove. Where space is limited a bar can be used to operate the control or you could incorporate the direct air system which has both controls at the front but I do take your point on board for the future:) Sorry about the bars, if you require a spare in the future I will do this FOC:)) Many thanks for taking the time to comment.